Many business owners see custom software development as a prohibitively expensive investment. However, custom software pays for itself better than any off-the-shelf solution ever could. Savings range from expected benefits, to work speed and workflow, to smoother operations and reduced risk of cyber attacks. These benefits are entirely unique to custom software due to the way it is made and the types of problems it solves. Faster work is more profitable work, and nothing improves work speed like custom software development. An essential part of good custom software development is a series of interviews with individuals at various levels of the client’s business. In addition to the business owners, developers have discussions with the workers who will interact most with the new software. This insight allows them to see exactly how their new solution can fix existing problems. If the old system is too slow, has too many options, has too few options, or lacks essential functions, developers can transform complaints about the old to make the new system better. Custom software is an opportunity to take advantage of employee creativity, too. In addition to complaints, employees can share their ideas and requests with developers, and these will be brought into meetings as possible development options. Custom software development isn’t like any other process. It’s a cooperative endeavor that is most effective when developers and clients work as one. This leads to a truly optimized product that can revolutionize day to day labor speed. The more complex your solutions are, the more time it will take employees to navigate them. Extra third-party applications also slow down computers, increase the chance of a cyber security breach, and make the IT department’s life more difficult in general. Although there will always be a few tasks that require some application-switching, this should never be the normal work path for frequent tasks. We already talked about how time is money, and nothing slows speed like juggling multiple programs. Slowed service also irritates customers. Combined with the system risks we just mentioned, patchwork-application workflows are one of the greatest threats to a business’s success. Custom software development gives businesses exactly what they need in a single solution. There are no unnecessary features to drain memory and processing speed. Every aspect of the software serves the business’s unique, specific needs. This means custom software is better for your hardware, better for your employees, better for your clients, and better for security. That is a lot of benefits from a single product. Third party off-the-shelf applications always pose a measure of risk to your business, even if you don’t have to utilize multiple products for a single task. When developers create off-the-shelf solutions, they aim to address industry averages and medians. No business matches those statistics exactly. This affects not only workflow concerns, but also system design. Off-the-shelf developers simply cannot know what other programs you will run. Nor can they know what add-ons you need, and what complexities your IT team faces. Inevitably, this leads to problems. Custom software development is better for your existing system. Rather than warping your protocols and applications to fit off-the-shelf solutions, you can trust that a custom solution will snap into place seamlessly. As part of their research process, custom software developers examine the intricacies of a client’s operating system, key applications, and more. Their solution is a custom fit rather than an approximation based on other businesses’ averages. One of the best and least discussed benefits of custom software is the opportunity for future savings. Off-the-shelf solutions offer static products. They are not designed to change size or shape to suit growing or changing companies. Custom products, however, can do just that. 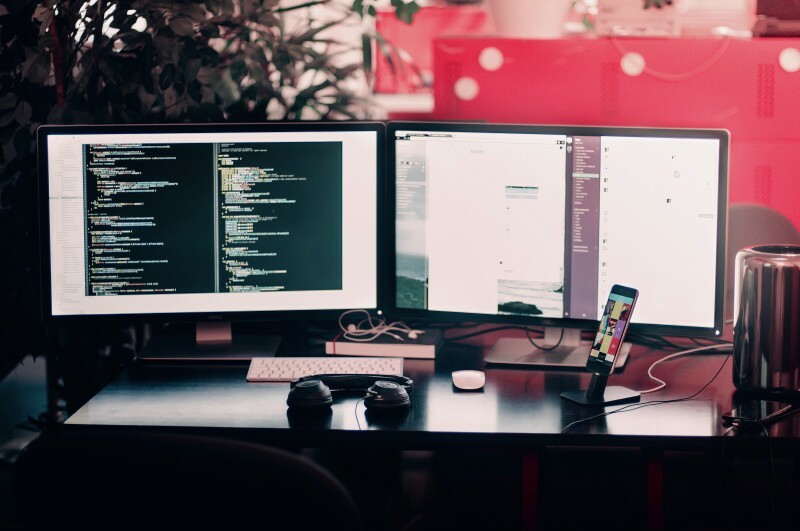 By adding a few backdoors and utilizing expansion-friendly structures, custom software developers can set your business up for future successes. Rather than buying all new products when you outgrow your current solutions, you can simply contact the developers and arrange for the necessary additions and adjustments to your system. This saves huge amounts of money and prevents losing the time it takes to retrain employees. These solutions are incredibly flexible. So, it’s entirely possible that you’ll never have to replace your custom software with another product. Even if you do, by working with the same custom software development team, you can find a solution that won’t set you back too far just as you’re getting ready to expand. Few products earn back their price as quickly as custom software. The process behind custom software development gives resulting systems and applications a distinct advantage that improves your business from day one. Not only does custom software help your business become more productive, but it also saves many expenses. To improve processing speed, security, and customer satisfaction, consider investing in custom software.